Guac with Broc. Broccamole. Broc Guac. It doesn’t really matter what this recipe is called. 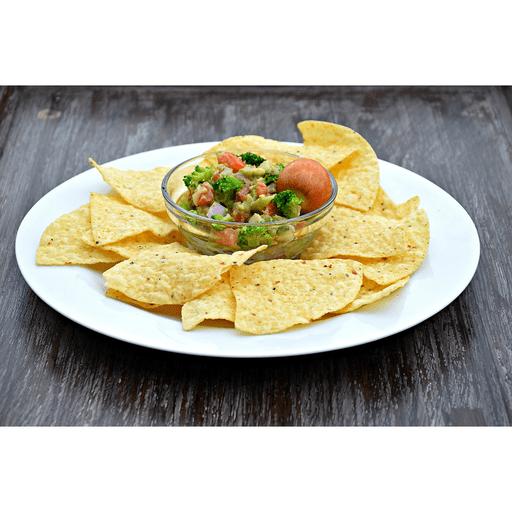 It’s more important to know that this veggie-fied guacamole is delicious! 1. Remove avocado from skin, saving the seed. Place avocado in a bowl and mash with a fork. 1. Mix in remaining ingredients. Return seed to bowl to prevent from browning and serve. Serve with fresh vegetables (cucumber, zucchini, yellow squash, etc.) or with whole grain tortilla chips. Calories 130, Total Fat 10g (Saturated 1.5g, Trans 0g), Cholesterol 0mg, Sodium 110mg, Total Carbohydrate 11g (Dietary Fiber 6g, Sugars 2g), Protein 3g, Vitamin A 15%, Vitamin C 50%, Calcium 4%, Iron 4% *Nutritional values are an approximation. Actual nutritional values may vary due to preparation techniques, variations related to suppliers, regional and seasonal differences, or rounding.